Eight teams failed to score in the Premier League this past weekend. This is the joint most tally for the season, equaling the number of teams that failed to find the back of the net on opening weekend. However, this did not deter reigning champions Man City to put five past newly promoted Cardiff and in the process, leap-frog Chelsea who could only manage a goalless draw at West Ham, into second. For Liverpool, they continued their fine start to the league, registering a six victory in as many games at the expense of Southampton. Elsewhere, Arsenal and Tottenham registered routine wins over Everton and Brighton respectively. However, Manchester United dropped more points as they failed to overcome a resilient Wolves side (1-1) at Old Trafford. At the wrong end of the table, Burnely registered a first win of the current campaign and they did it in style, putting four past a hapless Bournemouth side. The Clarets were, however, the only team in the bottom half to win a league game over the weekend as five of the other nine succumbed to defeats. He is still struggling with Unei Emery’s ‘playing from the back’ style and on Sunday, you could see he is not yet there yet. The ball-playing skills aside, Cech was unbeatable as his Arsenal side defeated Everton 2-0. He made six saves en route to a first clean sheet this season, something that should clearly have pleased both him and his manager. If he can continue putting up performances like that one against Everton, maybe we will forget how poor a keeper he is when it comes to the ball on his feet and maybe concentrate on his hands more. CB. Pablo Zabaleta (West Ham United). Keeping Edin Hazard silent is one of the hardest tasks to do especially when the little Belgian is on song like he has been lately but 33-year-old Zabaleta did exactly that minus breaking a sweat. He did not make his customary surge up the pitch but who cares after all he took care of arguably the league’s best player as his side registered a much-needed point on Sunday. A few weeks back, it was hard to see how Joel Matip would get back into Liverpool’s starting lineup but when the games started coming thick and fast, he got the node this past weekend and will surely leave his manager with a few questions on whether he (Matip) should get more playing time than he has been getting lately. He scored his first goal for the Reds this past weekend in the 3-0 win over Southampton and looking at the stats which suggest his side win 64% of the games he starts as compared to 50% when he is out, Jurgen Klopp should indeed have a selection headache going into the game against Chelsea next weekend. CB. Fabian Balbuena (West Ham United). What a start to life in the Premier League Balbuena is enjoying. Started in all six of West Ham’s games so far and doesn’t give his manager any reasons to be dropped. He is slowly turning into the leader at the back that West Ham have been craving for in the last few seasons and against Chelsea on Sunday, he was at it against as his side scrapped to a goalless drew. This was West Ham’s second clean sheet this season and with the Paraguayan around, it is confident to say that more will come shortly. MF. Ilkay Gundogan (Manchester City). No De Bryne and Silva, no problem for City as Gundogan produced a magnificent display at the heart of the Citizens’ midfield. The German international scored one and assisted the other on Saturday afternoon as City defeated Cardiff 5-0 away from home. Gundogan’s goal was his first from outside the area in a league game since 2013 when he was still with Dortmund in the Bundesliga. Lenon is no longer the exciting fella he was 5-8 years ago but as Burnely defeated Bournemouth 4-0 on Saturday, he showed a glimpse of the quality he once possessed. He assisted and scored a goal on Saturday and despite the temptation to play Bernardo Silva who had a similar contribution in City’s 5-0 demolition of Cardiff, i will go with the Englishman after all, he will not feature in not so many editions throughout the season, unless of course otherwise. Lenon’s goal against Bournemouth was his first in the Premier League for 931 days, since netting for Everton against West Ham in March 2016. MF. Joao Moutinho (Wolverhampton Wanderers). No Wolves player created more chances or made more tackles than Joao Moutinho in their 1-1 draw at Old Trafford. To cup his performance, the Portuguese midfield maestro scored the goal that earned his side a famous point away to the Red Devils. MF. James Maddison (Leicester City). Since stepping up from the Championship, the ex-Norwich man has instantly looked at home in the Premier League. Filling the Mahrez-void at the King Power Stadium should not look this easy, but his link-up with Jamie Vardy and Kelechi Iheanacho is top drawer. His free-kick powers are second to none at the Club as evident by his strike in the 3-1 win over Huddersfield Town on Saturday. A strange day for the Swiss ace, who was handed his first Reds start, tore Southampton apart and was then mysteriously hooked at halftime. Playing in a midfield role behind Liverpool’s illustrious front three his work down the left flank produced an own goal from Wesley Hoedt, and a quality free-kick resulted in Mohamed Salah’s goal. 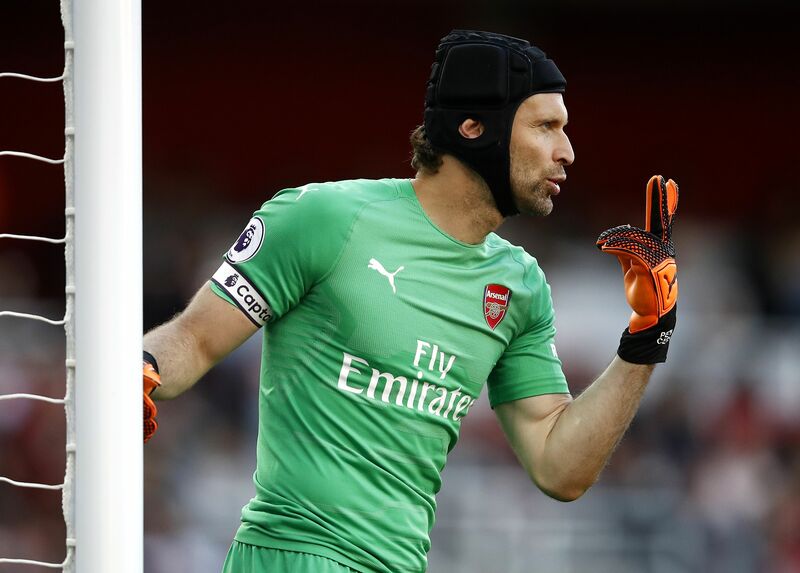 Not the best of starts against Everton on Sunday as the Frenchman was guilty of missing Arsenal’s best chance of the first half when he fumbled in the area but picked himself up and set the tone for the Gunners’ 2-0 victory. Scored the first goal in exquisite fashion before robbing Kurt Zouma of the ball in the build-up to Aubameyang’s second. Striker Aleksandar Mitrovic netted Fulham’s equaliser against Watford, and had eight of the team’s 15 shots overall. He may not be the best center-forward in the league but surely gets the job done for Nuno Esperito Santo’s men. The Serbian International has scored five of Fulham’s eight goals this season.